House of Hope Video Tour! Check out this video below to get a first look inside building Phase 4 of House of Hope! The completed security wall around our House of Hope property. 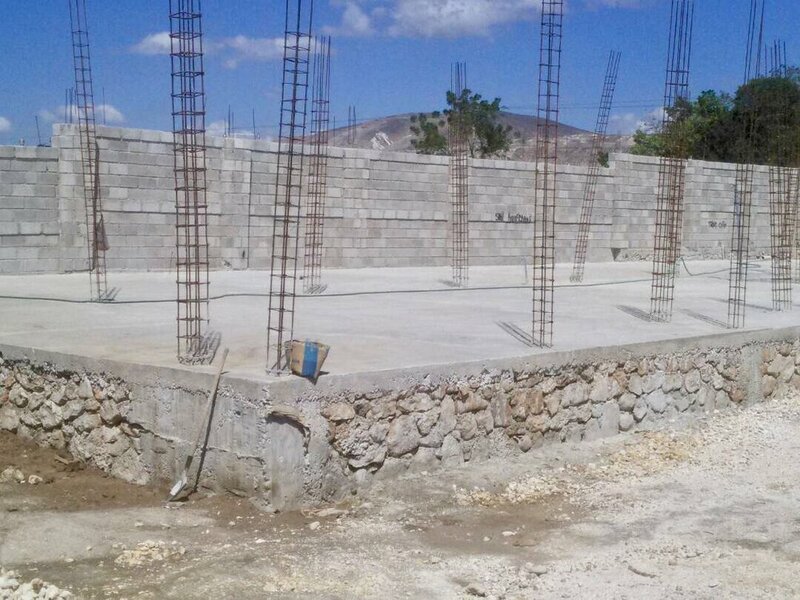 Kingdom Kids Homes owns land in Haiti! On Tuesday, April 25, 2017 Kingdom Kids Homes closed the deal on purchasing land in Canaan, Haiti where House of Hope Christian School and Community Center will be located. The land is located 10 minutes away from Kingdom Kids Home and is just under an acre of land. Take a look at the pictures below to see more images of our land and the building progress on HOH! Right now, we are in the midst of construction on the Elevation Phase (Phase 4 out of 6 building phases) for House of Hope! In this phase, they will begin to build walls around the HOH foundation, complete the water tower, and complete the play area. Watch this 40 second video clip below to where we’re at with construction on Phase 4 of House of Hope! Give a One Time Gift to support our House of Hope project! Click the button below and type House of Hope in the box that says "Gift Type."